Monday signifies a new week, new possibilities, and new literature! At the start of every week, I take time to display different books on each themed shelf. This provides readers an opportunity to explore new titles on an ongoing basis. Some books are brand new to Room 382 while other books have occupied our shared space for years; yet feel fresh and enticing when they are uniquely displayed. Students (and guests) are continually gazing at our Francis Gittens Lending Library and enjoy, not only the vast array of literature to choose from, but how easily accessible it is to find what they are looking for. 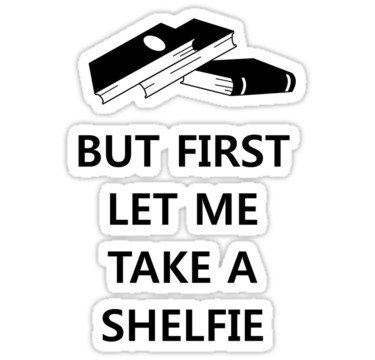 Gone are the days of ‘genre shelving’ and in are the days of ‘theme shelving’. Whether students are just emerging into the world of literature or they are deeply rooted in their love for reading; our scholars need to feel supported. By clustering books via theme, students (regardless of their comfortability with literature) know exactly where to go to get more of what they want! Many students find their heritage fascinating and want to explore it beyond their current ideologies, beliefs, and familiarities. So, they peruse the shelves in which they see themselves; racially, culturally, geographically, athletically, and so on. They find comfort in exploring the lives and stories of those they’ve met before in history class or via conversations taking place within their homes. They also take pleasure in learning more about who they are within the context of society, and on an even larger scale, within the world; simultaneously honing in on their more localized and individual existence. All adolescents are searching. They search for identity. They seek to understand. They thrive on building connections. They strive to be enlightened. And many times, students stumble upon exactly what they didn’t know they were looking for! I love that. Be it non-fiction, fiction, poetry, fantasy, science-fiction, auto/biography, graphic novels, screen plays, what have you; genre holds much less weight when the stories, characters, and settings transcend our students into a world full of exploration. 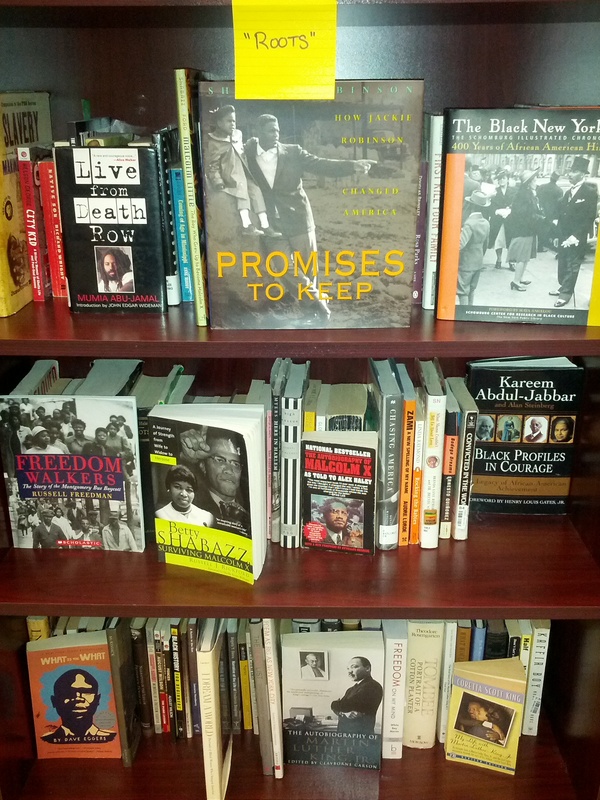 Here, our ever growing and ever evolving “Roots” shelves allow us to embark on a genre free yet culturally rich journey! “Genre free yet culturally rich”–I love that! Thanks for the great shelf idea, Erika!